Today there was an article saying that RICOH considers to shrink the camera business and withdraw from consumer products. This article is not based on RICOH's official announcement. RICOH is focusing its resource on the high added value products such as PENTAX and GR that are appreciated by the existing users and photo hobbyists. RICOH is also a market leader of input deviceｓ in the VR or AR market with its "RICOH THETA" where we can see rapid growth, and will keep on expanding the business even more in this field. In addition, RICOH will develop and expand the imaging business in the solution business field for corporate, by creating new market utilizing its own camera technology. 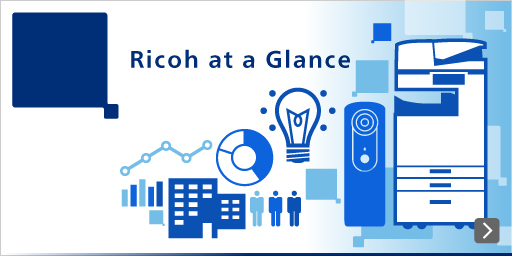 Ricoh is a global technology company that has been transforming the way people work for more than 80 years. Under its corporate tagline — imagine. change. — Ricoh continues to empower companies and individuals with services and technologies that inspire innovation, enhance sustainability and boost business growth. These include document management systems, IT services, production print solutions, visual communications systems, digital cameras, and industrial systems. ©2017 RICOH COMPANY, LTD. All rights reserved. All referenced product names are the trademarks of their respective companies.